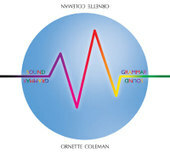 Ornette Coleman - Sound Grammar (Sound Grammar) - Two basses and son Denardo on drums; my favorite small group Ornette since At the Golden Circle. Otomo Yoshihide New Jazz Orchestra - Plays Eric Dolphy's 'Out to Lunch' (Doubt Music) - Twisted, intelligent and humorous. I'm pretty sure Eric Dolphy would love it. Jazzfinger - Autumn Engines (Rebis) - Dynamic, lo-fi, some of the best noise happening. Nuru Kane - Sigil (World Music Network) Senegalese desert blues + Moroccan Sufi trance, ancient to the future. Eglantine Gouzy - Boamaster (Osaka) - Electronique pop chanteuse featured on the 4 Women No Cry comp a few years back, total stunner. 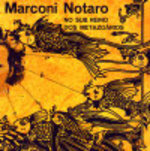 Marconi Notaro No Sub Reinos Metazoarios (Time Lag) - This is exactly what I thought tropicalia would sound like before I heard it. Less circus-y, more desperate psych. Oxford Collapse - Remember the Night Parties (Sub Pop) - Shorter emphasis on the Feelies/Embos tradition and more on '90s emo, but the songs are attractive. Meg Baird - Waltze of the Tennis Players 7" (Tequila Sunrise) - Singer from Espers unearths a gem from the Fraser & Debolt catalog. 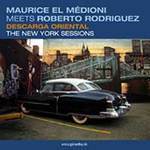 Medioni meets Roberto Rodriguez - Descarga Oriental (Piranha) - Irreverent Cuban ex-pat Rodriguez is a natural foil to Medioni's nonstandard Arabaic pop. Takka Takka - Indie-rock band with a Lou Reed/Dylan fixation, internalized harmonica solos, wartime lyrics and fundamental chord progressions. Lily Allen - Alright, Still (EMI) - Sharp MySpace poptart doles out the would-be hits. Kurt Weisman - More is More 7" Mad Monk - Kurt from Feathers has a knack for memorable childlike hooks and a class of experimentation that's neither turgid nor wholly expected. Chris Corsano - The Young Cricketer (Hot Cars Warp)/ Chris Corsano - Blood Pressure (Hot Cars Warp) / Corsano/Flaherty - The Beloved Music (Family Vineyard) - Chris Corsano can do no wrong in my eyes. His solo drum CD-R (Hi, Professor Graves!) + his solo CD-R sans drums (Who knew?) both kill, and his duo with Paul Flaherty rightfully continues the search begun by Coltrane/Ali then Lowe/Ali so many years ago. Other WFMU Best of 2006 lists are here. Tails Out by Otomo's New Jazz Quintent is also amazing. I might add some of Dasque Fuwara (name obviously mangled in half remembered translation) did a series of spirtual jazz big band recording complete with African wobblings ala Leon Thomas etc. that's totally amazing too. I'm a big fan of Tails Out as well, actually I love most of the Otomo that I've heard in various bands. Will need to check out Dasque Fuwara though -- from your desciption it is right up my alley. Do you perhaps mean Daisuke Fuwa, leader of the phenomenal Shibusashirazu Orchestra? Ornette: Made in America. Taking "Skies of America" as a point of departure, independent filmmaker Shirley Clarke creates an unusual portrait.